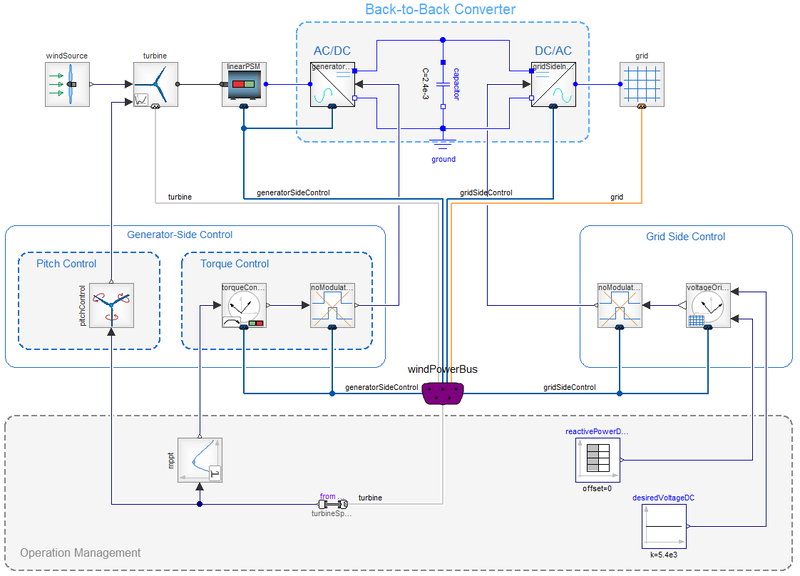 The Wind Power library (WPL) is a Modelica based simulation Library intended to aid modelling wind power plant components including generators, power electronics and auxiliary components. 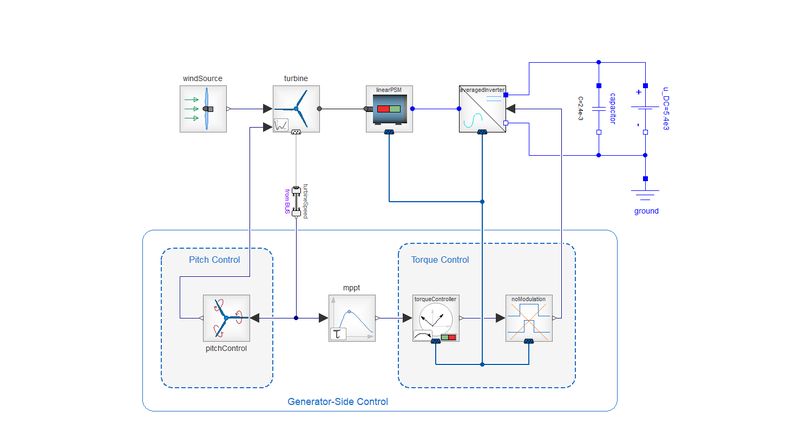 It is intended to study the dynamic behaviour of modern wind turbines with both generator and grid components. Developed with cross product and platform integration in mind, it allows easy coupling with other tools using FMI interface. Power Electronics, i.e. back-to-back converter is based on averaged models. Thus, the simulation performance is increased. 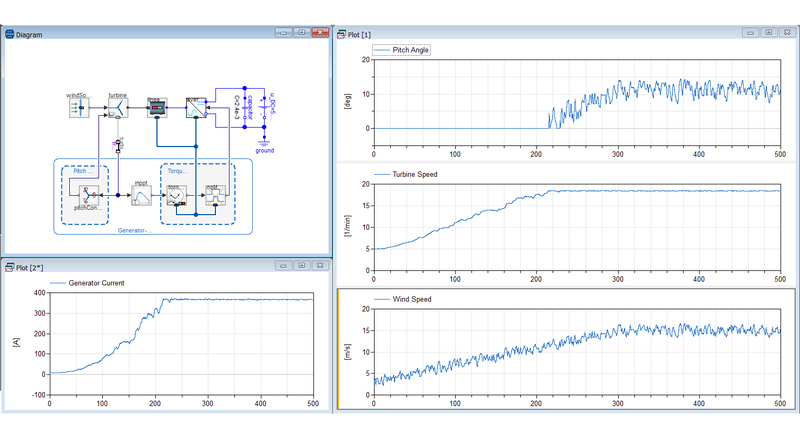 With the wind speed as input the power that can be harvested from a wind turbine is computed in the wind turbine model. 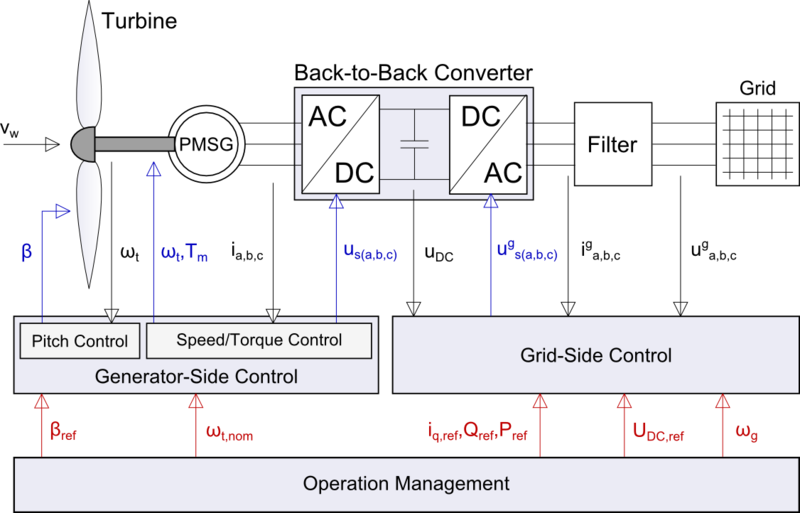 The maximum extractable wind power (turbine power) is calculated based on the power coefficient (which is an approximation required for dynamic investigations > refer to slide 13). The harvested wind power is transferred to the permanent-magnet synchronous generator (PMSG) and transformed into electrical power. 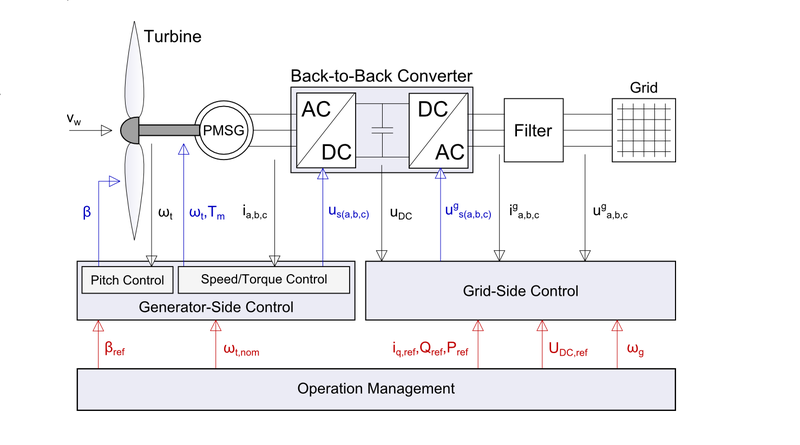 If switching elements are used in the back-to-back converter a filter is smoothing the switching signals generated in the grid-side converter. The WPL includes different examples that demonstrate the control mechanism of modern wind turbines.